The Atria Shopping Gallery offers shoppers a modern and warm ambience. – Pic supplied, May 28, 2015. After eight years, the doors of the rejuvenated Atria Shopping Gallery in Damansara Jaya, Petaling Jaya, was opened to the public today. 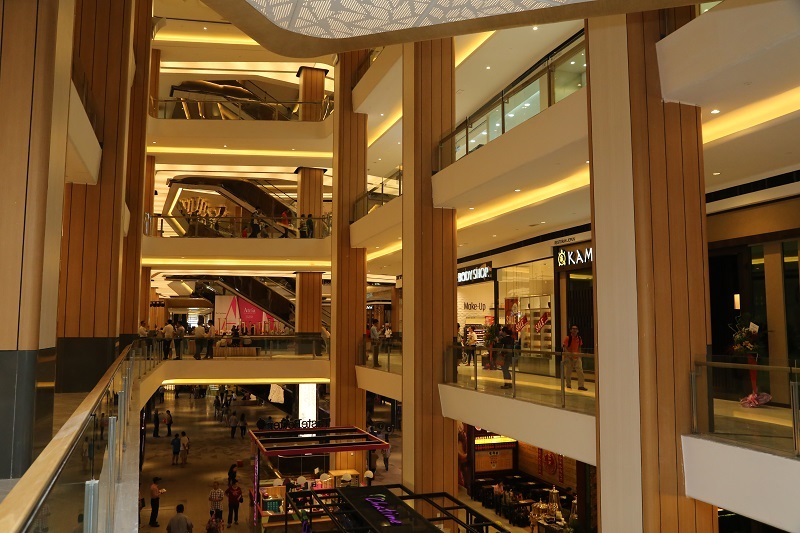 OSK Property executive director Ong Ju Xing said the flagship mall, which replaces the old Atria Shopping Centre, was designed for today’s sophisticated and discerning tastes. He said it offers visitors a total experience – comfort, convenience, security, cleanliness, ample parking and accessibility. The interior of the building was inspired by the natural beauty of the tropical rainforests, creating a sense of natural opulence and ambience that is warm and welcoming. The uniqueness of the design won Atria the Best Retail Interior in the Asia Pacific Property Awards 2015. Ong said the shopping gallery features a quality tenant mix, from upmarket fashion and sumptuous spread of food and beverage options, to a comprehensive line of retailers that caters to each lifestyle needs. 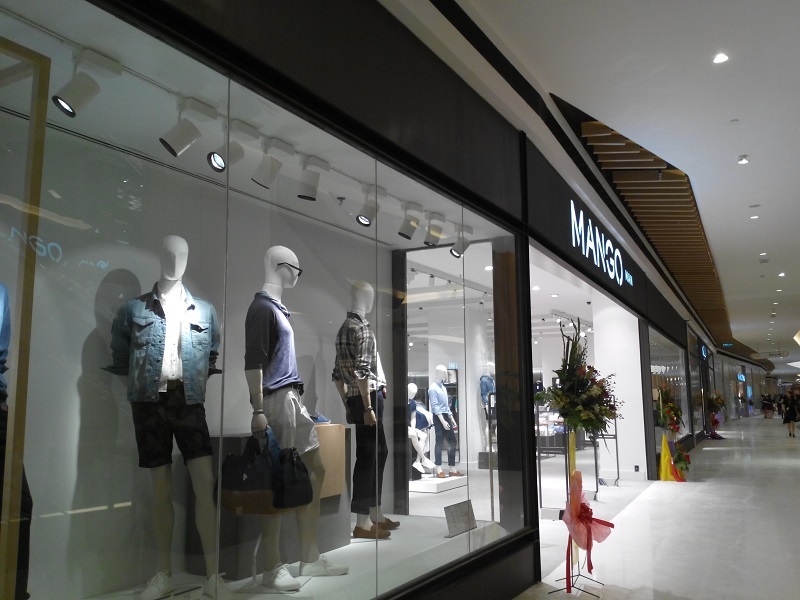 Among the retailers to look out for are the biggest Mango store in Malaysia that features all of its clothing line, including Mango Men and Mango Kids, and several pioneer food and beverage outlets that chose Atria as their first home in the country, namely, Pizzolo, Pho Vietz and Tokyo Ramen. For children, a special section has been allocated on the third floor where the Little Tree House preschool, Jungle Gym and Yamaha Music School are located. Ong said the response from public and tenants have been overwhelming. “The mall has already achieved an occupancy rate of 85%, of which 65% have opened for business today. The balance 20% will start their operations by end of July and we are confident that we can achieve an occupancy rate of more than 95% by end of August,” he said at the soft launch today. Atria Shopping Gallery boasts a nett lettable area of 470,000 sq ft. It features a five-storey shopping outlets and 392 units of Small Offices, Flexibles Offices (SoFo) which will be completed by end of this year. The Mango outlet at the Atria Shopping Gallery. – The Malaysian Insider pic by Lavanya Lingan, May 28, 2015. Some 1,700 parking bays are also provided for shoppers with ample bays allocated for women, family with children and the disabled. To many PJ residents and those from the surrounding areas, the Atria complex holds many fond memories as it was the “in” place to go to in the 1980s. The famous, or rather infamous Piccadilly discotheque located inside the complex was a magnet for many students and teenagers. It also housed two international departmental stores, namely Kimisawa of Japan and Printemps of France. However, after the 1988 economic slowdown, both Kimisawa and Printemps closed down and the Lion Group took over. The former Kimisawa location became Parkson Grand and Printemps became the Atria Shopping Centre. In early 2000, Lien Hoe Corporation took over the building and Parkson was replaced by Tops and later Giant in 2005. The shopping complex lost its glory in the mid-2000. It could not compete with the newer and larger shopping complexes and eventually became unpopular and run down. In March 2007, OSK Property Holdings decided to acquire the building and give it a new lease of life. After the success of Atria, OSK is planning to build 5 more shopping galleries by 2020. The next in line will be in Cheras, Kuala Lumpur; followed by Sungai Petani, Kedah; Section 13, Petaling Jaya; Melbourne, Australia and Cyberjaya. – May 28, 2015. ChangeU had an over 2,000 sf training center in the old Atria, so we had some nostalgic connections with Atria. The first 4 Papillon Personal Effectitveness PowerCamp were held there, with Brenda José as my Co-Coach. Papillon means butterfly in French. Atria has enhanced the feel good factor for Damansara Jaya. I love the ambience and design concepts, and the new first time shops like Pelicana, Pizzolo, and Tokyo Ramen.